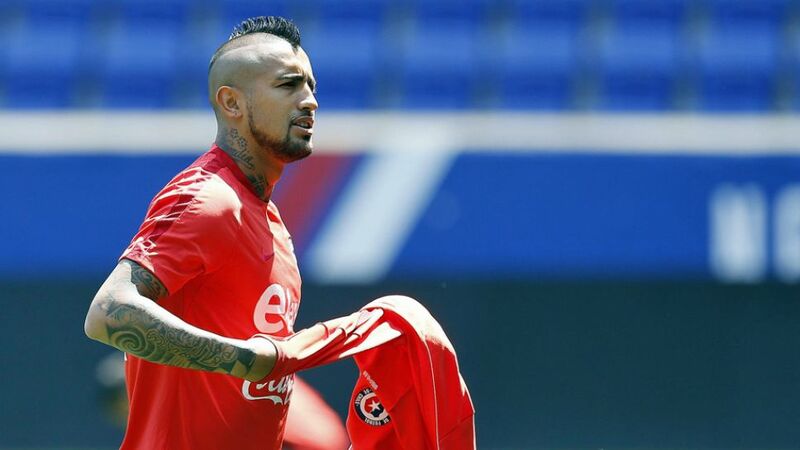 Arturo Vidal says it will take something special for Chile to beat Argentina in Sunday's Copa America Centenario final at the MetLife Stadium in New Jersey (kick-off: 20:00ET/02:00CEST+1day). The warrior-like FC Bayern München midfielder scored the winning penalty in last summer's Copa triumph over La Albiceleste in Santiago, but knows retaining the trophy will be far from easy. "We know them very well," Vidal told media on Friday. "We know all about Lionel Messi. He can decide a game on his own, so we’ll have to mark him tightly and not give him any space. They were the better side in almost all areas in the group stage. We hope to play the game of our lives." With the talismanic Vidal pulling the strings, Chile have shown a marked improvement since losing 2-1 to Argentina in their opening game of the competition. The holders dug deep to beat Bolivia 2-1, before turning up the heat on Panama (4-2), Mexico (7-0) and Colombia (2-0). In terms of firepower, only La Albiceleste hold a candle to La Roja. "We're coming into the game full of confidence," Vidal affirmed. "With a lot of effort we've been in two finals, in two World Cups and we're hoping for a third World Cup. There is no national team in the world that plays like Chile. We've earned respect and everyone knows it." Emblematic of Chile's rising global stock is TSG 1899 Hoffenheim's Eduardo Vargas. The 26-year-old finished top scorer a year ago and once again leads the Copa scoring charts on six goals - one ahead of Argentina game-changer Messi. Aided and abetted by Bundesliga bedfellows Vidal and Charles Aranguiz of Bayer 04 Leverkusen, the enigmatic Hoffenheim forward has every reason to believe he and defending Copa champions Chile can repeat last year's historic feat on U.S. soil.